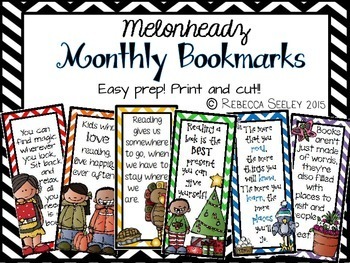 This is a super cute set of monthly bookmarks for your kids!! All you need to do is print and cut! 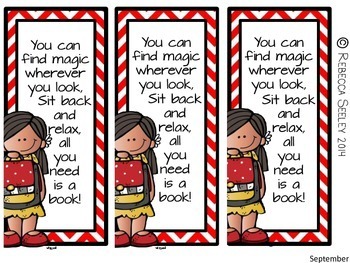 Laminating will create long lasting bookmarks!! I even punched a hole in the top and added colorful ribbon to each one!! 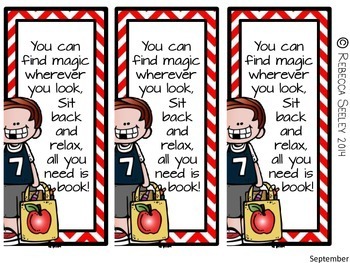 Perfect for book buckets, as a holiday gift, or simply as something to hand out! Fun and inspiring quotes on each one! Some months do have boy and girl options!